New policy in 9 locations aims to protect country’s water resources. China rolled out its water resource tax pilot program in nine provinces and regions across the country on Friday in a bid to boost ongoing conservation efforts. The new system, effective from Dec. 1, aims to strengthen the management and protection of water resources by imposing tariffs on enterprises and individuals for excessive water usage, the Ministry of Finance announced on Nov. 28. 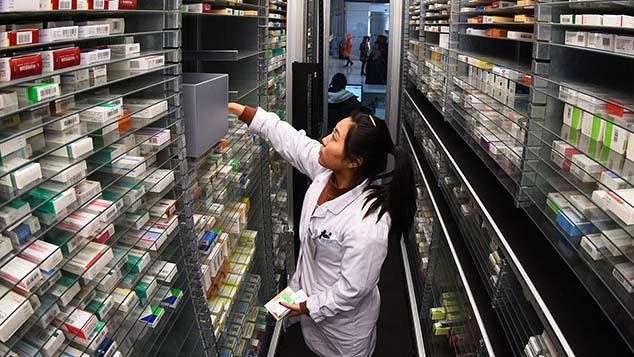 The plan includes Beijing, Tianjin, Inner Mongolia, Shandong, Shanxi, Shaanxi, Henan, Sichuan, and Ningxia, with plans to extend the tax nationwide in the future. 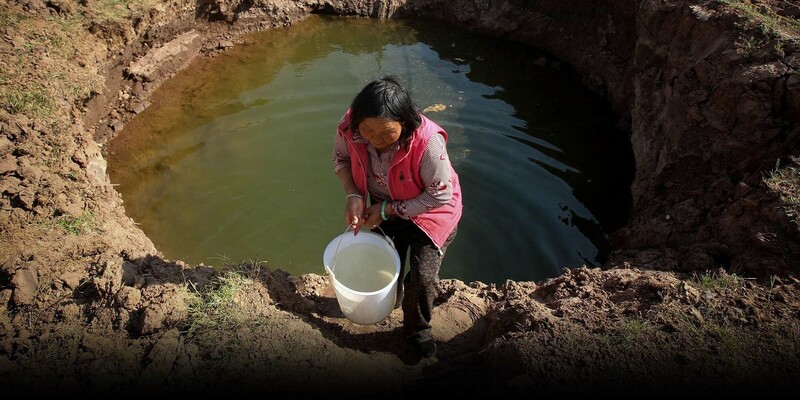 Water scarcity is a serious problem in China, which is home to 20 percent of the global population but has just 7 percent of the world’s freshwater resources, according to the United Nations. The problem is compounded in provinces like Hebei, in the country’s north, which thrives on its water-guzzling industrial and agricultural output. The province only has 307 cubic meters of water per capita — about one-seventh the national average. The expansion of the water conservation tax pilot comes after an 18-month trial in Hebei that started in July 2016. The government says this initiative dropped water consumption by 460 million tons. Gan Yiwei, a climate and energy campaigner at the environmental nonprofit Greenpeace, told Sixth Tone that the positive results in Hebei encouraged the government to expand the program. Some of the locations included in the pilot program experience high water stress, which means demand exceeds supply during some parts of the year, or that available water is unfit for consumption. Different tax rates apply in each region, for surface water and groundwater resources, and depending on whether the usage is residential, commercial, industrial, or agricultural. A finance ministry official told state-owned China News Agency on Tuesday that the measure will push businesses like car washes and golf courses to cut excessive water consumption. Meanwhile, farmers will either be exempt from the tax or pay a reduced rate. China first introduced taxes on natural resources for conservation purposes in 1984, though at that time they only applied to the coal, natural gas, and oil industries. Four years later, the Ministry of Water Resources started collecting a water resource fee as a measure to prevent future scarcity issues. Experts say urbanization and industrialization have worsened China’s water stress levels. An estimated 678 million people now live in highly water-stressed areas, according to a 2016 report by the World Resources Institute, an international research agency. While industrial and domestic water consumption have risen, government policies coupled with more water-efficient farming, the report said, have reduced irrigation use. Depletion of groundwater is another crisis authorities are trying to solve. 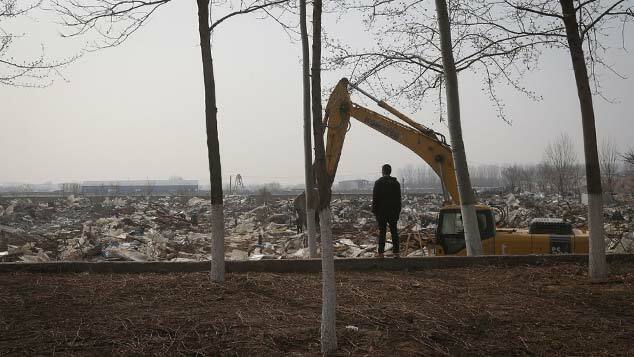 The municipal government in Tianjin, one of the cities included in the pilot program, announced Thursday that groundwater overexploitation affects 9,440 square kilometers of its area, leading to land subsidence and other environmental problems. 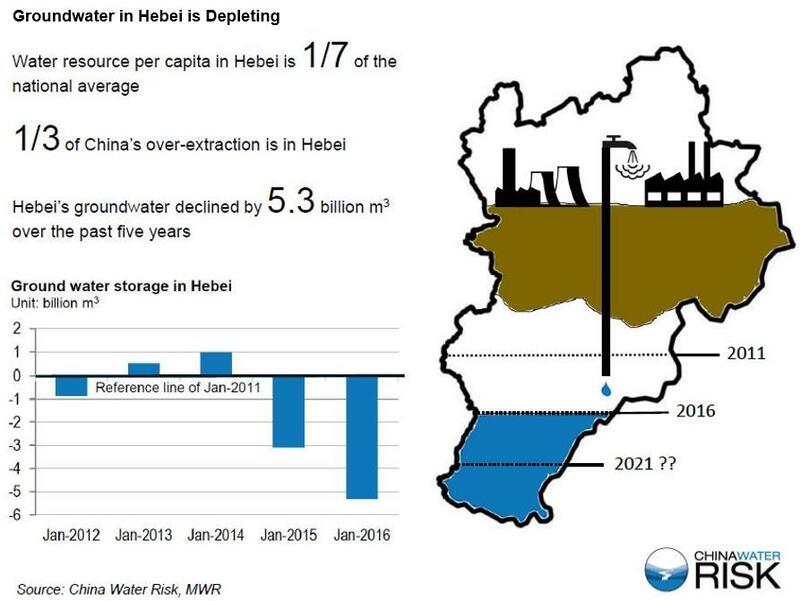 In Hebei, the groundwater level has been depleted by 5.3 billion cubic meters in the last five years. Experts like Gan from Greenpeace believe that the government should now increase transparency and supervision for the new tax program. 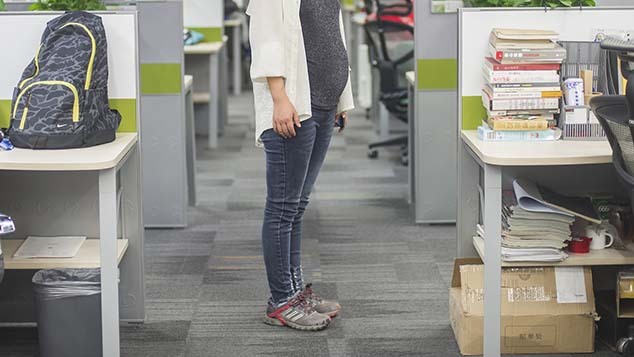 Contributions: Yin Yijun; editor: Qian Jinghua.